A Vietnamese technology website claims to have spent some time trying out a fully assembled and operational 4.7-inch iPhone 7, offering a few original tidbits amid a number of details that have already been rumored about Apple's device, set to be unveiled tomorrow. 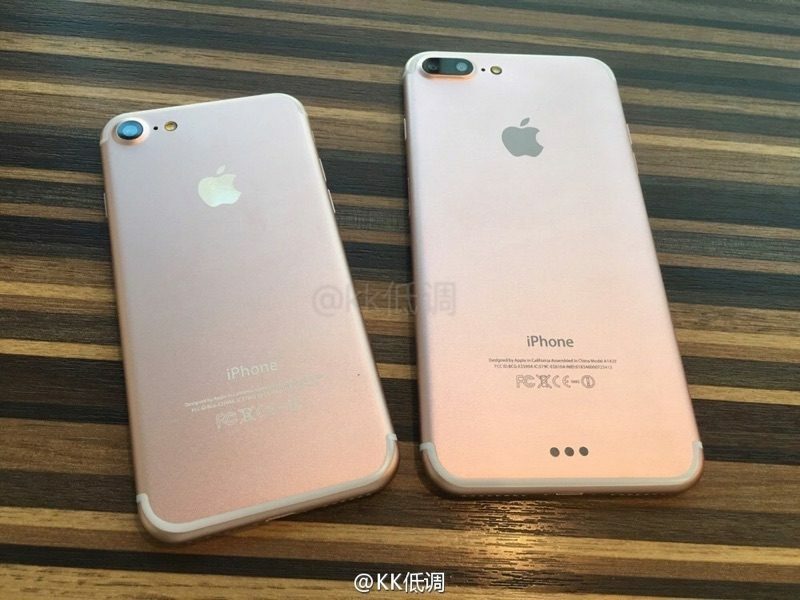 The tinhte.vn blog offers no photos to back up its claims about the upcoming iPhone 7, so the following should be taken with a liberal dose of salt, but the writer reckons the smaller handset will be capable of recording 4K video at a smoother 60 frames per second, in contrast to the 30fps 4K recording found on the iPhone 6s and 6s Plus (60fps is limited to 1080p resolution video on both devices). Given the significant additional storage that would be required for such a spec bump, speculation is inevitable that 60fps 4K video is one of the main reasons why Apple is expected to offer 128GB and 256GB capacity models, and would seem to tie in with the company's recent introduction of a 2TB iCloud storage tier option. According to the writer, the iPhone 7 also has a rubber sealed SIM tray which – along with the lack of headphone jack – improves the overall effectiveness of the device's waterproofing. Over the weekend, respected KGI securities analyst Ming-Chi Kuo also listed improved IPX7 water resistance as one of the upgrades to the upcoming iPhone. That would see the handset match the Apple Watch's impressive level of waterproofing, something which the company has arguably underplayed. Elsewhere, the writer suggests that speculation regarding a new black color option is on the mark, and will replace the Space Gray iPhone variant currently available. Also, the volume buttons apparently no longer sit inside a small recess, but are placed directly on the side of the device body. Lastly, the writer claims that the new touch-sensitive home button utilizes haptic Force Touch feedback technology to mimic the sensation of a physical depress, and still requires the user to exert a decent amount of pressure on the button to activate it. Of course, nothing can be confirmed until Apple's big reveal, but with just a day to go before the company's live streamed media event, the wait is almost over. MacRumors is providing live coverage of the event for those unable to watch, both on MacRumors.com and through our @MacRumorsLive account on Twitter. Awesome, can't wait to see everyone's vertical videos in 4K 60FPS. And yet, Apple's recently released Apple TV cannot play back 4K video ... and most of their macs have integrated video cards incapable of properly editing 4K video. I don't know about 6S users but this is shaping up to be a great upgrade for those of us on the 6 or below. Admit it, 32GB is the new 16GB. 4k 60fps will be the start of "32GB iPhone is not enough". Which is why I am opting for 128 GB as my minimum. With 4K and Live Photo's, the additional space is crucial for me. 60FPS 4K would take up, roughly, 700MB per minute. It makes sense, I always record in 60fps because the difference is huge. It's a shame that I never use the 4k option because it's limited to 30fps.